make active living the easy choice for residents. healthy habits in the region. Building the future workforce for oral health. doctors to practice in the region. Community organizations are the building blocks for assisting those in need. The Health Foundation values their work and dedication to improve health and quality of life in the region. The Board of Directors identified five priority areas to focus our work throughout the region. 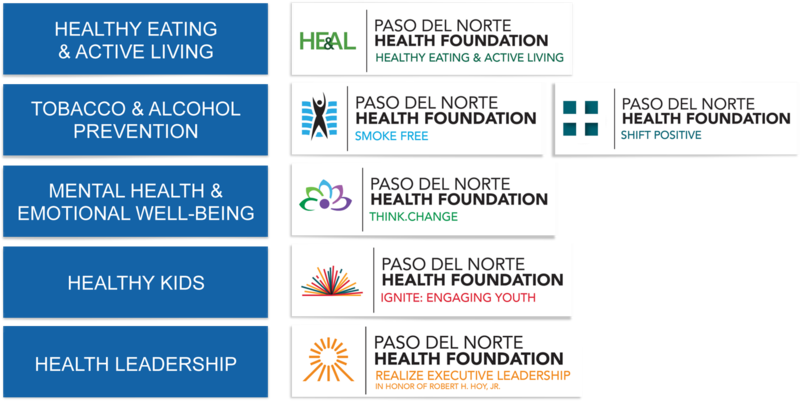 The Paso del Norte Health Foundation, Paso del Norte Charitable Foundation and Fundación Paso del Norte para la Salud y Bienestar work together for a shared vision: to ensure that the people of our binational, tri-state region have the knowledge, resources, environment and support to live happy, healthy and productive lives. Download a snapshot of our 2017 Annual Report here.